The most popular image of the Battle of Britain is blue skies and aircraft contrails as the opposing forces fought for the mastery of the sky over southern England. However, as early as 24 August 1940, the Luftwaffe started launching night time air raids. As this trend continued, and developed into what became known at The Blitz, Fighter Command was faced with a problem; how to tackle these raids. The problem became even more pressing from 7 September 1940, when the Germans launched a series of night raids on London that would extend nightly into November. To illustrate the difficulties facing the defenders; during September; the anti-aircraft guns around London fired about 250,000 shells, but brought down fewer than 12 aircraft. The system which was working so well against the daylight raids was now suffering due to its reliance on the visual tracking by the Observer Corps and visual sighting by the RAF fighters. At night the Observer Corps could only provide indications of direction but crucially were unable to gauge the height of a raid. By 21 September, Air Chief Marshal Dowding (head of Fighter Command) had issued a memorandum for night-interception trials to take place, controlled by Kenley. 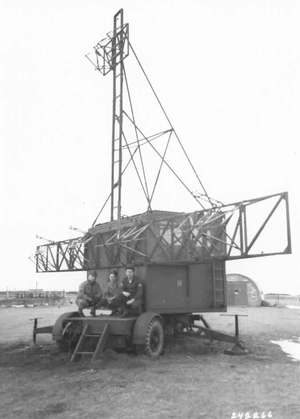 In it, he outlined the use of gun-laying radar (GL) and a “master” search light to identify and track an enemy raider, the theory being the defending fighter could be drawn to the area by the controllers. The flying station selected was RAF Redhill, initially with 600 (City of London) Squadron subsequently being replaced by 219 Squadron during October. 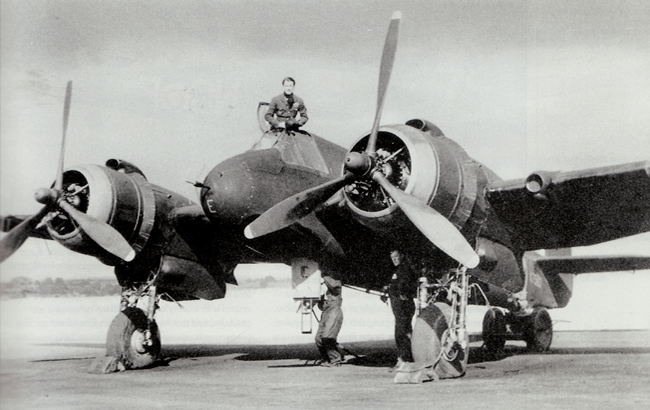 Early experience revealed frustration with the Beaufighter. By the end of September 1940 it had been in service with the RAF for less than three months and was exhibiting many of the teething problems experienced when a new type enters service; 219 Squadron received its first Beaufighter only on 2 September. The RAF had yet to learn how to operate and maintain the aircraft. 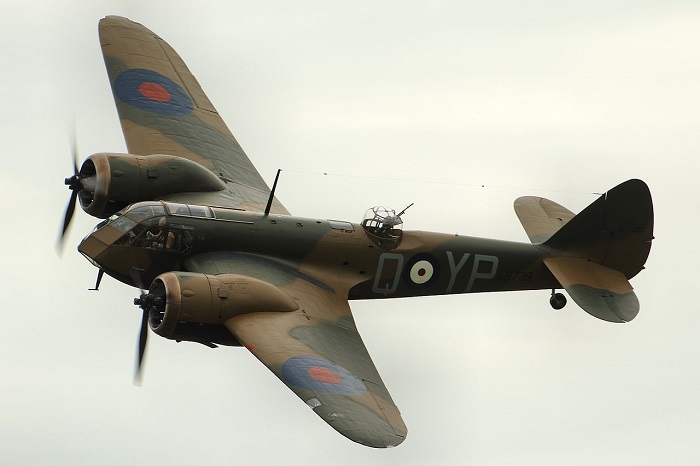 Conversely, operations with the Blenheim showed greater results with more interceptions being made. However, the slower Blenheim was unable to turn these contacts into successes as the enemy aircraft were able to increase speed and outpace it. Even by 30th September the difficulties of operating at night were apparent, even with fully operational aircraft. The hoped for link between searchlights and aircraft was not effective as the beams were seldom seen above 10,000ft except on moonlit nights. Also the Observer Corps were not able to provide much more than general headings for the raiders. 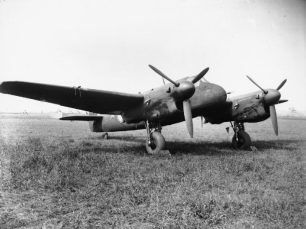 Even at this stage the Beaufighters were less successful than Blenheims, it was surmised as being due to the exhaust from their radial engines being more visible at night. This was despite them being faster, more heavily armed and being fitted with more advanced air interception radar. Later investigation revealed issues with the installation of the AI sets resulting in erroneous position readings for the enemy aircraft. One thing of greater concern at this stage was the prevalence of the anti-aircraft guns to shoot at any aircraft in their vicinity. Whilst Dowding was insisting on the fitting of IFF (Identification Friend or Foe) to all Beaufighters, even when this was done, crews attested to being fired upon by their own anti-aircraft guns. Dowding was also keen to ensure that air to ground communication was kept to the necessary minimum and was annoyed by promising interceptions being “hampered by verbosity on the part of a Controller who was constantly talking to the pilot.” In practice the operator in the Control Room would direct the aircraft towards the contact, not the Controller, who was senior in rank. This chatter from the Controller also served to distract the pilot from following the instructions (full or partial) he had received from the operator. As a result of this, Dowding decreed that the communication channel to the Controller be switched off whilst a contact was being pursued. Of equal concern to Dowding was the ability to safely recover the night-fighter to its home station in poor weather conditions, when enemy aircraft were around or when another aircraft was due to be launched on an intercept. Delays of half an hour were not uncommon and as a result Dowding recommended the installation of beacons for the returning night-fighter to home at all stations where night-fighting was conducted. The problems encountered by returning night-fighters in poor weather were illustrated by the loss of 3 aircraft from 11 Group on the night of 30 October, 2 with fatal consequences. The first success for 219 Squadron occurred on the night of 24/25 October 1940, 4 sorties were launched against enemy aircraft. These resulted in 2 sightings and one indecisive engagement, although damage was claimed. The first downing of an enemy aircraft was on the night of 25/26 October 1940, over Kenley. The enemy aircraft headed south crashing into the sea off the south coast where a large patch of burning fuel was observed. By this stage it had become noticeable that the Beaufighters were making more contact with the enemy. Probably due to a number of factors; more experience with the radar, initial teething problems with the Beaufighter had been ironed, tactics had been developed for operating the Beaufighter as a night-fighter. In a summary of 219 Squadron operations for 14 -29 October 1940 it showed: 22 patrols conducted, 29 Airborne Intercept contacts, 10 enemy aircraft sighted, 4 enemy aircraft attacked, 1 enemy aircraft shot down. This highlights the increasing complexity of the machinery being operated by the RAF and the new challenges this posed in delivering serviceable aircraft on a consistent basis to meet enemy raids. This was even more pressing as, by this stage of The Blitz, the airfields at Middle Wallop, North Weald and Tangmere were also conducting night interception operations. However, Tangmere was more involved in operational development as it housed the Fighter Interception Unit. In recognising the threat posed by German aircraft at night, Dowding had sought to tweak his system which was being effective in combating enemy raids during daylight. However, the practicalities of the situation revealed a host of other challenges which needed to be overcome before night-interception of enemy aircraft could be consistently successful. The night interception tests continued through the rest of 1940 but were conducted from RAF Tangmere with the Fighter Interception Unit. 600 Sqn RAF (code BQ), operating the Beaufighter Mk.1f from Redhill in the period September 1940 – October 1940. The squadron experienced difficulties with availability of aircraft and standards of maintenance, on one occasion leading to a fatal crash.